Among other topics, the book touches on how sports interact with religion and what expectations are placed on a coach's wife. It’s no secret many sports fans have an almost religious affiliation with their teams. But when does the interaction between faith and big-time sports run into trouble? That’s the subject of Marcia Mount Shoop’s new book, Touchdowns For Jesus And Other Signs of Apocalypse. She’s a theologian and the wife of the Purdue football team’s offensive coordinator. WBAA’s Stan Jastrzebski visited a Purdue football practice recently to chat with her about the book. Purdue University will sell more beer and wine at football games this fall, but only in one section of Ross-Ade Stadium. The bleachers have been removed from the south end of the stadium, and while permanent plans are still being drawn up, the area will feature the South End Zone Patio this season. 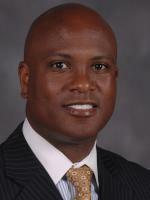 Darrell Hazell is Purdue’s new head football coach. Athletics Director Morgan Burke announced the hiring in a news release Wednesday morning and Hazell will be formally introduced at a news conference on campus Wednesday night. Hazell comes from Kent State, where he’s led the program for two years and has a record of 16-9. Terms of the agreement have not been announced. Hazell replaces Danny Hope, who was fired November 25th after four years as head coach.